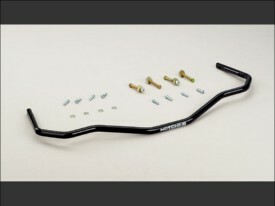 Improve cornering by reducing body roll with a Hotchkis Performance Rear Sway Bar. Hotchkis bars are CNC bent for a precise fit and include hardware. Hotchkis bars are powder coated for durability, and tested and tuned to ensure the best performance possible. 1 " Solid Rear.